10 Best Production is passionate about acknowledging online advertising companies that offer exceptional services, so the company has devised a new category: Best Music Video Production Firm. 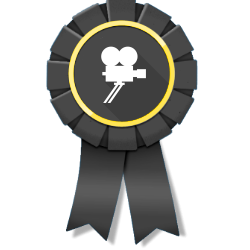 This award draws attention to video production companies that excel in providing business owners and entrepreneurs with innovative, identity-building services that help them connect with and then convert their target market. 10 Best Production recently presented its Best Music Video Production Firm awards for May 2016. The award winners in this category represent some of the industry’s leading companies, and they are Litewave Media, Video Ink and TribeSound. A well-produced music video is incredibly important for the success of any artist. And these videos aren't just played on traditional media; they're also likely to receive a lot of views on the internet. To help artists receive the best possible service, 10 Best Production has started a monthly award series for the best music video production firm services available to artists both new and established. These firms have been thoroughly vetted based on their technical expertise, excellence in customer service, and affordable pricing. Considered to be the top music video production firm, Litewave Media is based out of Saint Petersburg in Florida. It is capable of helping artists from around the world with their online services; however, the company also helps local artists as well. This is one of the best music video production company services because of its high levels of innovation. For a truly unique and memorable music video, many artists have chosen to work with the production experts at Litewave Media. This production company has a full staff of video editing wizards, a film crew, and professional individuals who cater to artists who want to have nothing but the best. Video Ink, a leading music video production company based out of Manchester in the United Kingdom, provides stunning and memorable music videos to their clients. This firm knows how to produce a video that will catch a target audience's attention—and keep it for years to come. With a specialty on digital distribution techniques, this media company can provide artists with helpful tips and advice, on top of their video production services. In addition, the production and editing skills of this team are exemplary, and many clients have referred to its work as "stunning." TribeSound is recognized to be among the industry’s best music video production companies for producing unique, engaging music videos for artists across a wide variety of musical styles and genres. This media company offers a full range of services aside from music video production, including web design and photography services. For a truly uniform look and feel to all of the media which represents a project, TribeSound has a team of experts capable of making it happen. This company is also affiliated with Tailor Made Media and Tribe Sound Records, making it a "one-stop-shop" for aspiring and experienced artists. For more information about the company or this month’s award winners, please visit http://www.10bestproduction.com.